First and foremost, I did not name this event. :) That would be a little like giving yourself a nickname or something. SFB was previously the FFOasis Invitational. I closed my site in early April of 2014 and the tournament needed a new name and home. 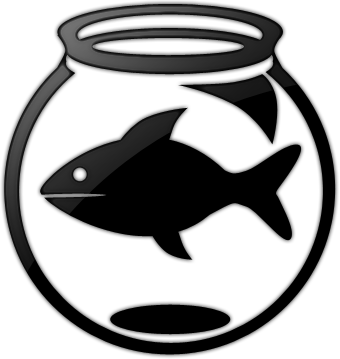 I took the question to twitter and "The Fishbowl / The Scott Fish Bowl" was the clear cut winner. "The FF Invitational" was a close second and is also used. scottfishbowl.com and ffinvitational.com get you to the same place. SFB just has a better ring to it than FFI and so it is more commonly used. For a history on some of the statistical winners of the SFB, you merely have to check out our records page. Mike Clay of Pro Football Focus won the first ever SFB (then FFOasis Invitational). He did it in historic / dramatic fashion as well. Yours truly ran the table as the top team from week 1 through week 15 and Mike had an absolutely enourmous final week of the playoffs to win the overall title by 15 points. At the time, the league was 96 teams. In 2011, a fan by the name of Bob Slaughter took home the crown in what ended up being only a 60 team league. In the summer/fall of 2012 I had a pregnant wife and several out of town weddings of friends that led me to cancel the prestigious tournament. In 2013, the Invitational made it's glorious return and had more interest than ever. We brought in 120 teams. Ty Miller of Blindside Football (he is now with Dynasty League Football) took home that crown in a newly updated tournament that created an all play bracket system for it's playoffs. For 2014, not only did I find 120 teams, I found 120 more and still had a giant waiting list of fans that I couldn't quite fit in. The tournament had grown to a 240 team league with over 170 analysts from various sites. In 2015, It will likely expand again to become 360 teams. The interest is there, but the workload may prohibit it from getting any bigger than 360. Yes that is my real last name and yes a lot of jokes were made in school. I started playing fantasy football in 1992. It was a dynasty league but has now turned into a keeper league and still exists. The people I knew at the time that basically introduced me to fantasy football had been playing dynasty since the late 1970′s and it was all they knew. Of course, they were an older crew and called it fantasy football and did not know it was called dynasty. They just kept all their players and drafted the new rookies and free agents every August. I did not find my way to the fantasy community for several years. Around 1999, in college, My friend Cory Bruender and I had this idea of drafting college players into a farm system like major league baseball. I went online to find out how to do this. I used as many search engines as I could and as many different web searches as I could to find how people play a league like this (and no kiddies, google wasn’t really a thing yet). No luck. So I joined many forums and AIM’d people on those forums to find any info. Apparently, this type of league did not exist. At least not with people online at the time. I used to joke that all my asking around was the start of what I call “College Farm System Dynasty Leagues” and what many now call “developmental dynasty leagues.” Recently a friend in the industry who had played in these leagues with me since about 2005 told me to stop joking, put it in my bio, and say I invented that sh*t. I won’t go that far, but I was certainly one of the first, if not the first online doing it. This was 15 years ago. I am one of the few people out there that can say he drafted Adrian Peterson when he was a senior in high school. These types of leagues are my passion. Why was all that needed? Joining these forums to find answers got me into the community. Being an active member at a forum based website called FantasyFootballCafe.com… I quickly moved up and started writing their Start/Sit column. One year I was even ranked as the #3 most accurate start/sit column on the internet by an independent ranking site. Mathew Berry was #4 that year. This was before FantasyPros.com which is now the Gold standard. I felt like a real part of the industry. Boy was I wrong. I found that out later when I started my own site and really got out there. In 2008, I decided to make my own site. My best friends in the industry Gary Davenport, Rob Leath, and Mike Kaus came along for the ride and FantasyFootballOasis.com was founded. The first few months were painful for pageviews, but then Gary’s IDP talk put us on the map. Frontpage of every google IDP search. This may be hard to believe now, it was only 4 years ago, but IDP was not covered very much at all. I built IDPManor.com as a sister / side project to FFOasis… and it became a force. This propelled Gary to new ventures and me to run FFOasis. More recently, in 2014, I closed FFOasis to spend more time with my newborn first son and my wife. I am now an independent contractor and primarily working behind the scenes for Dynasty League Football as of late April 2014. My true online passion is web design. I have built many sites, not just in the fantasy industry, but also for businesses. So if you are in need of some web design help, or really anything… I love helping my fantasy football community family.